Regardless of the motivation, the decision to renovate requires planning and vision. “Have a clear and realistic vision of where you envision your asset to be after the design, costing and construction is complete,” says Harry Christakis, principal at HCA architecture, adding that clear vision moves the process forward more quickly and economically. But where does that vision come from? Christakis says the first step is a clear assessment of your target market and “competitive set.” Translating that assessment into a beautiful new decor is why a professional designer’s services are indispensable. “Hoteliers affiliated with a brand usually know what to do. However, they need assistance with the articulation and implementation of the design and renovation process,” says McClintock. Renovations are as vital for maintaining and boosting your competitive edge. Sound like magic? In a way, it is – and a designer can help you save on costs, to boot. 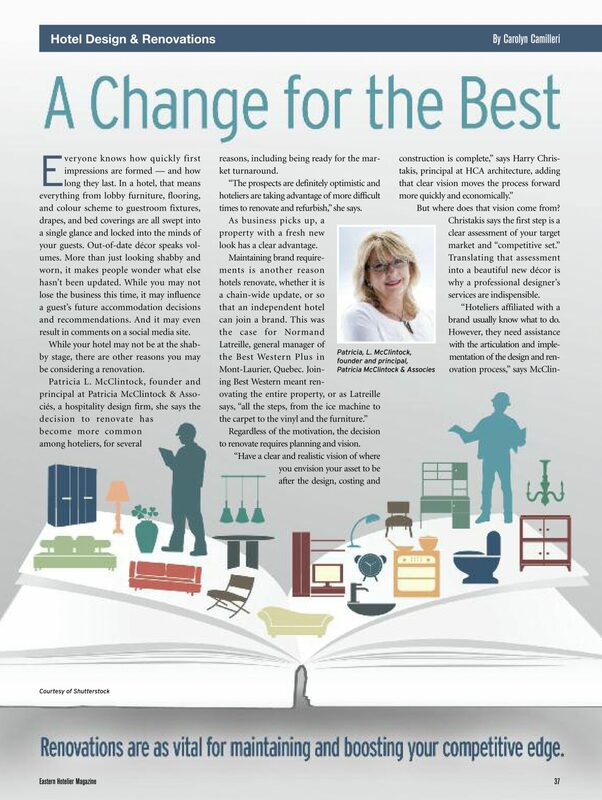 Because of their connections to suppliers and contractors, designers can guide your decisions to stay within budget. You can also agree to handle some aspects of the project yourself, such as negotiating with suppliers and contractors, something Letreille did. 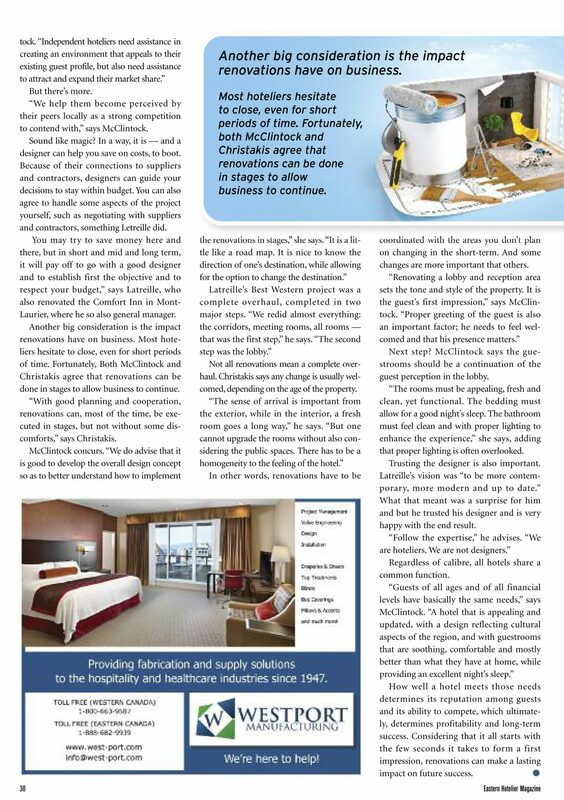 You may try to save money here and there, but in short and mid and long term, it will payoff to go with a good designer and to establish first the objective and to respect your budget,” says Latreille, who also renovated the Comfort Inn in Mont Laurier, where he is also general manager. Trusting the designer is also important. Latreille’s vision was “to be more contemporary, more modern and up to date.” What that meant was a surprise for him and but he trusted his designer and is very happy with the end result. Regardless of caliber, all hotels share a common function.